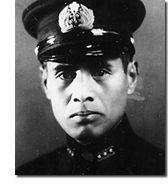 General Minoru Genda was the one who planned the Japanese attack on Pearl Harbor. He died of heart disease in a Tokyo hospital on Tuesday on the 44th anniversary of the end of the World War II. He would have been 85 years old yesterday.